This newsletter was originally published on May 16, 2018. On Tuesday May 15, the House Energy Committee held a hearing on the Energy Freedom bill package. Michigan EIBC President Liesl Clark, and board member Mark Hagerty of Michigan Solar Solutions testified in support of the legislation. Specifically, Clark and Hagerty expressed support for bills that would lift the cap on net energy metering and replace the current distributed generation tariff with a new tariff that accounts for the full value of solar energy. Hagerty argued that numerous studies have found that net metering users are not subsidized, and that in fact they subsidize other electric customers by generating energy at the hottest part of the day when demand is highest at a lower cost. Clark presented research conducted by the Institute for Energy Innovation in support of their testimony. Hagerty gave a customer example, explaining that with rooftop solar panels, the power sent to the grid during the day is worth 300% more than the power from the grid at night. The hearing adjourned before all parties were able to testify. Another hearing on the Energy Freedom package is scheduled for next Tuesday May 22. On May 11, the Michigan Energy Innovation Business Council and Advanced Energy Economy Institute submitted comments on regulated electric utilities’ five-year distribution investment and maintenance plans in the Michigan Public Service Commission’s Case No. U-20147. The docket, opened on April 12 of this year, invited public comments regarding Consumers Energy Company’s and DTE Electric Company’s final five-year investment and maintenance distribution system plans. Michigan EIBC and AEE Institute’s joint comments focused on opportunities related to the two plans and provided perspectives on regulatory practices to develop effective distribution system planning (DSP)processes. Consumers’ five-year plan is “customer-driven,” and anticipates a system that will accommodate more distributed sources of electric supply. Consumers Energy proposes using 14 customer-driven metrics related to the following objectives: 1) safety and security, 2) reliability, 3) sustainability, 4) customer control, 5) optimization of long-term system costs, and 6) maintenance and optimization of existing infrastructure while beginning customer-focused enhancements. In the joint comments, Michigan EIBC and AEE Institute stated that Consumers’ plan is encouraging because the utility plans to use benchmarks to measure success. In the comments, Michigan EIBC and AEE Institute, stated, “a transparent, complete picture of grid conditions will help save time and cost in the siting and deployment of future DER projects.” For example, Consumers’ plan could be enhanced by measuring individual customer experiences and localized circuit-level performance to identify and address issues precisely. Regarding grid upgrades, Michigan EIBC and AEE Institute praised Consumers’ plan to invest more than $3 billion in its distribution grid, and its decision to use advanced energy technologies in its upgrades. 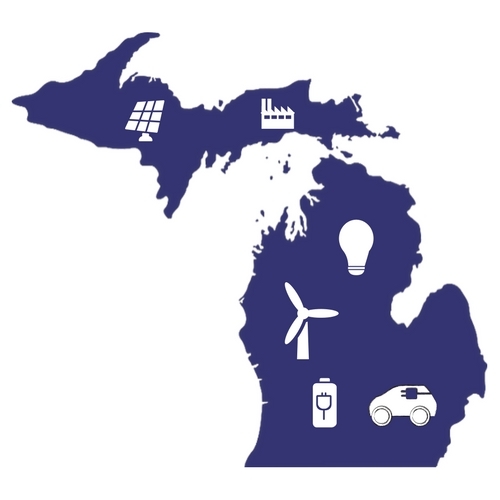 Michigan EIBC and AEE Institute noted that there is more to do to address other modern DSP goals, including increased distributed energy resource (DER) integration. Michigan EIBC and AEE Institute also called for increased transparency, encouraging Consumers to record and publish data on customer satisfaction with programs, cost/benefit analysis of programs, and more. DTE Electric’s plan intends to reduce risks, improve reliability, and manage costs. The pillars of the plan are tree trimming, infrastructure resilience and hardening, infrastructure redesign, and technology and automation. The utility plans to invest nearly $4.2 billion over the next five years. DTE Electric developed benchmarks for its operations and maintenance plans, and provided detailed information about system technologies, indicating that much of the utility’s grid technologies are near or past their life expectancy. The goals of the plan are reducing risk, improving reliability, and managing costs, and the utility plans to use industry benchmarking to develop targets for these goals. Michigan EIBC and AEE Institute suggested additional transparency into metrics and benchmarking. Michigan EIBC and AEE Institute encouraged DTE Electric to describe the ways in which technology and market trends impact how system goals will be realized in upcoming rate cases and future five-year plans. Michigan EIBC and AEE Institute noted that, given the marked decreases in cost for advanced energy, it is critical that DTE Electric factors these trends into their plans. Michigan EIBC and AEE Institute further noted that DTE Electric’s plan could use more explicit discussion of the needs of customers, simply implying that customers will benefit from the planned infrastructure upgrades. Michigan EIBC and AEE Institute expressed concerns that customer-facing spending is limited in the plan, and stated that future plans should explicitly address customer needs. DTE Electric included a cost/benefit analysis in its five-year plan, using safety, load relief, regulatory compliance, substation outage risk, reliability, operations and maintenance costs, and reactive capital as factors. The MPSC should establish authority to implement performance-based regulation and work with legislators and stakeholders to define and incentivize desired performance. At this year’s Annual Member Meeting on Monday, April 30, Michigan EIBC members reaffirmed the Michigan EIBC board appointments of Dave Simon, Anand Gangadharan, and Simon Whitelocke. Kevin Borgia was also confirmed as our newest Michigan EIBC board member. You can find the full Board of Directors on our website. Some developers worry that the “Clean Energy, Healthy Michigan” ballot initiative will re-politicize the industry, while others say it’s the push the state needs to increase the RPS. The bills in the Michigan Energy Freedom Package would save net metering, raise the limits and customer payout for net metering, allow for community solar, and more. Michigan EIBC president Liesl Clark and board member Mark Hagerty of Michigan Solar Solutions testified in favor of the package. Michigan’s congressional delegation consistently opposes plans to store nuclear waste near the Great Lakes. The Mackinac Center argues that distributed generation ‘solar subsidies’ are more than fair. DTE Energy unveiled plans for a $75 million redevelopment project at the site of a former coal gasification plant in Ann Arbor. Indiana Michigan Power offers a new renewable energy program. Consumers Energy representative talks wind in Branch County. Representative Gary Glenn submitted a Freedom of Information Act request for the MPSC relating to the 1,100 MW combined-cycle natural gas plant the Commission approved for DTE Energy. The Michigan Agri-business Association (MABA) and Consumers Energy announced the results of the Energy Savings Program, finding that businesses and customers saved a total of more than $1.7 million. University of Michigan researchers found that LED light bulbs are more expensive in high-poverty areas near Detroit compared to the wealthiest areas. Meridian township residents support energy waste reduction efforts. Traverse City Light & Power is considering a 100% renewable energy goal, which would be the first of its kind in the state. The Michigan Conservative Energy Forum awarded Michigan EIBC member company Michigan Biomass with the 2018 Clean Energy Champion at its Catalyst Conference in February. A House subcommittee voted to give $44.7 billion to the DOE and Army Corps of Engineers, part of which will go towards funding for fossil fuel energy and nuclear research programs. Eight senators are urging the Trump administration to exempt industrial-sized solar panels from its solar import tariff. The American Civil Liberties Union is raising concerns that smart meters could threaten users’ privacy and create health risks. Virginia regulators rejected Dominion Energy’s proposal to offer 100% renewable energy plans to large customers, saying it would give the company “extraordinary discretion” in setting prices. A Senate committee grilled officials on whether they had adequately repaired Puerto Rico’s electric grid as a new hurricane season approaches. Critics say regional grid operator PJM’s latest fuel security plan ignores the potential resiliency benefits of distributed generation. Iowa Governor Kim Reynolds defended signing a bill to scale back utility energy efficiency programs. Five of the six U.S. grid operators agree that federal regulators should not direct changes to power plant compensation based on resilience. A new study by the University of Chicago concludes that “dynamic pricing” is more likely to change utility customers’ energy efficiency behavior than moral persuasion. The International Renewable Energy Agency released its annual Renewable Energy and Jobs review for 2018, which found, across the U.S., 10.3 million renewable energy jobs, including 3.4 million solar PV jobs, 1.15 million wind jobs, and nearly 1 million geothermal jobs. Michigan EIBC member company Cypress Creek Renewables wants to build the solar workforce of the future. Michigan EIBC’s third EV Convening on DC fast charging and long-dwell charging is scheduled for June 14 at the Michigan Agency for Energy’s office in Lansing. 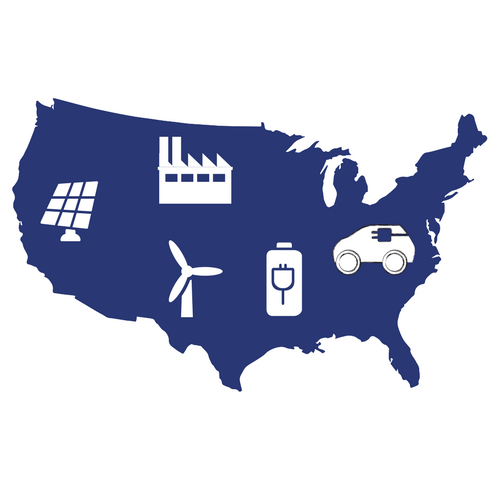 The meeting will feature speakers including Jeff Mason, CEO of the Michigan Economic Development Corporation; Wayne Killen, Senior Director of Infrastructure Operations and Bustiness Development for Electrify America; and Robert Jackson, Director of the Michigan Agency for Energy. Register here. EUCI invites you to a FERC Transmission Ratemaking conference, October 1-2 in Denver, Colorado. Register here.